Npower final selection lists 2017-2018 is out check now! We are glad to inform the general public most especially our esteem visitors who applied for Npower programme or has their relatives, friends and mates applied for Npower scheme that the 2018 Npower final selection lists is finally out for applicants who were pre-selected and were shortlisted for Npower physical verification exercise that has already been concluded. See more details below. The 2017-2018 Npower final selection lists is for verified applicants who met up with requirements needed during the verification exercise. Before your name will be on the Npower final selection lists you must partake in the physical verification exercise. The physical verification exercise commenced on the 4th of December 2017 and ended on the 15th, depending the local Government you were posted. If you were not verified successful at the point of physical verification venue that means your name will not be in final list. 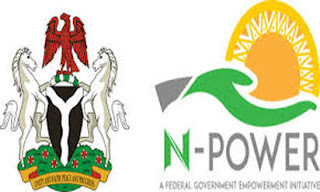 The 2017-2018 Npower Pre-selected physical Verification was designed to verify the qualifications of applicants and eliminate any form of impersonation and false declaration during the application. The verification covers the applicant’s age, academic qualification, gender, NYSC discharge letter with completion date, residential address and local government area applied for. As the 2017-2018 Npower final selection lists is out, posting of Npower verified successful shortlisted applicants has commenced. Successful verified applicants will be posted to their primary assignment as directed by the Npower scheme team. To check Npower final list is very simple, once you have been shortlisted, you need to login via Here follow the instruction beneath to successfully login and create an account with Npower Volunteer Network. Finally the Npower verified logo will come up with a verified status symbol that means you have been successfully verified by Npower scheme team. Cross check you’re posting letter, if you fund any mistake in your name or bank account details please report to the appropriate body for correction. arrant nonsense! there is no list that is out, stop lying just to attract traffic. its deceptive and exploitative. They're really convincing and will definitely work. Still, the posts are too quick for starters. written by way of him as nobody else recognize such particular approximately my difficulty. yours and I elieve we could greatly beneefit from each other. If you are interested feel frwe to shoot me an email. I lok forward to hearing from you! good, all can simply be aware of it, Thanks a lot. Thanks for another informative blog. Where else may I get that type of info written in such a perfect manner? What's up, just wanted to tell you, I loved this post. It was inspiring. different internet browsrs aand both show the same outcome. oof the load off, I'd love to write some content for your blog in exchange for a link back to mine. Please blast me ann e-mail if interested. Cheers!